Holešovice, what once was an industrial district of Prague, is slowing evolving into something of its own. 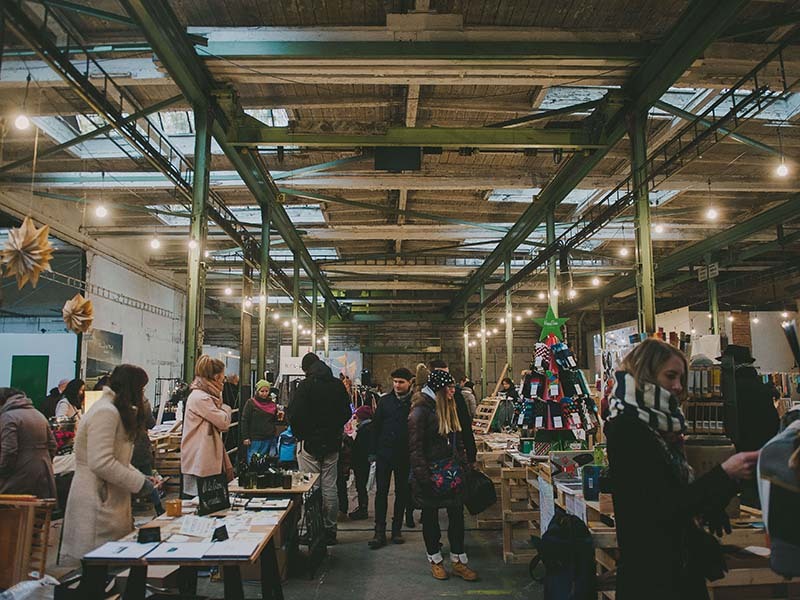 Taking the bones of that industrial past, young entrepreneurs are moving in with new visions of how to reinvent this once-forgotten neighborhood in the heart of Bohemia. While we may be a few tram stops from all the glittery sites giving Prague it’s iconic landscape, our heart is in this neighborhood- and we are so happy to be a part of that picture since 1999 (we were here before it was cool, just saying). That said we have got five new and happening places to share with you. 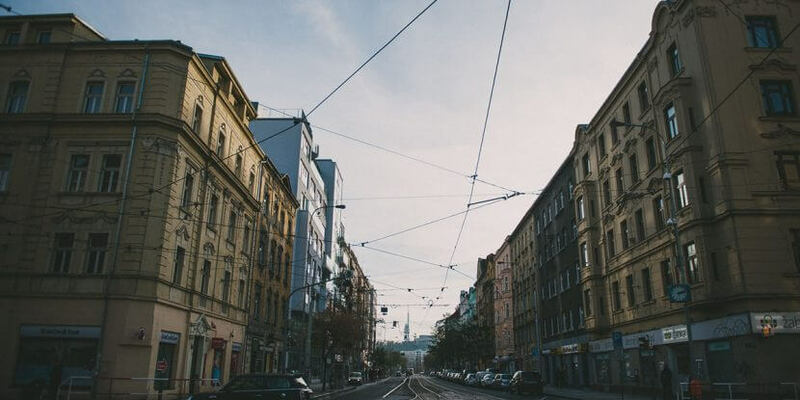 With a heavy theme on artistic spaces, these spots are shaping up our neighborhood to be the art district of Prague with every new door that opens. 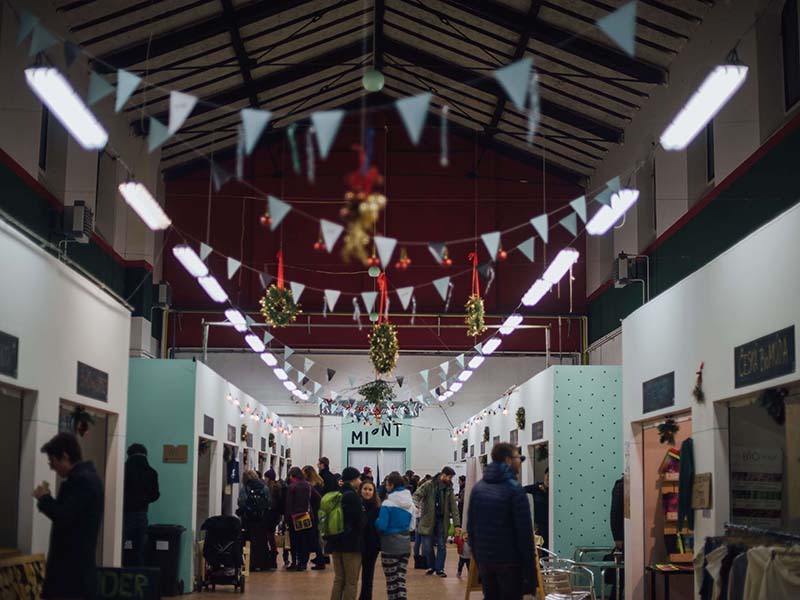 First we have Mint Market, occupying a hall in the maze that is Pražská tržnice (meaning market of Prague). For over a century it served as the meat market for all of the city. Since it closed it’s doors 30 years ago, the market fell into disrepair. Slowly, new things have come in, breathing new life into it's skeleton. One of them being the best thing to open this year - a periodical fashion market! Filled with local artists and designers selling their creations, you cannot find a better place to get a unique souvenir from something truly local, and crafted with passion. Open every Saturday from 11 - 6 pm and conveniently located just a few blocks from our hostel. Sharing the same market grounds as Mint, we have the international theatre venue, Jatka 78. 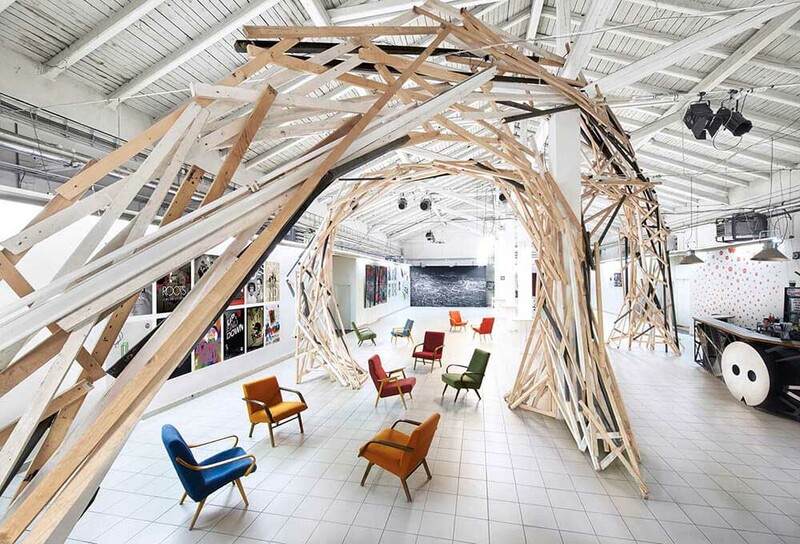 This self-proclaimed “temple of creativity” marks a new movement of modern art spaces in Prague. With an emphasis on performing arts, they offer everything from dance to a contemporary circus to silent puppet shows. Beyond that, the space will also serve as a residency for artists, a gallery, cafe, training space and beyond. Looking for something to do with your evening after a long day wandering the city, this just might be the answer! Next we have DOX. While this modern gallery is already an institution in Holešovice (it’s been going since 2008! ), it’s latest exhibit has caught our attention, and may catch yours. It's no secret that modern Czech history includes the rise and fall of communism and there are many options to get a glimpse of that. however we think this particular gallery is offering an excellent perspective. A photo gallery telling the story of Vaclav Havel, the playwright and communist dissident that become president-elect following the Velvet Revolution. The exhibit frames important historical milestones through the figurative and literal lenses of Czech photographers Tomki Němec and Bohdan Holomíček. 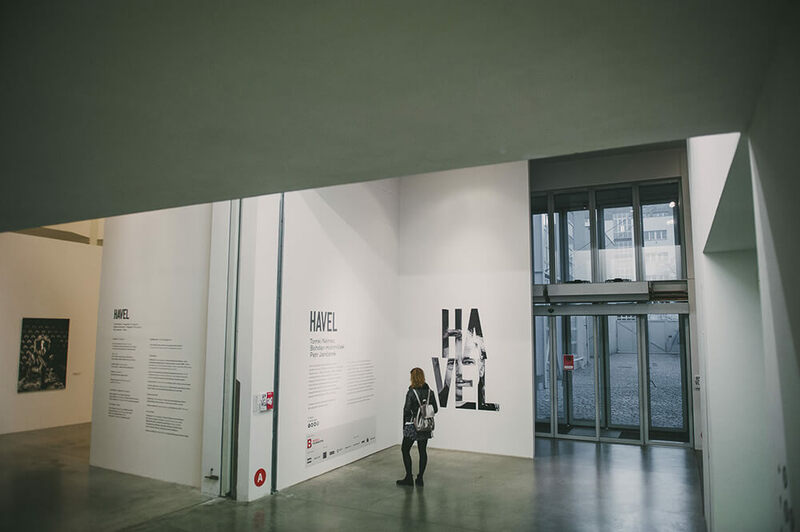 Seeing Havel’s life in these images becomes a narrative of an artist turned president against the backdrop of the fall of communism, and it’s aftermath. An integral part of modern Czech history, this presentation offers a fresh perspective through a visual documentary on how communism shaped this country and is certainly worth a visit. Next up we've got Vnitroblock and we are pretty excited we get to call them our neighbors. Part coffee shop, part concept store, part multifunctional gallery space, this industrial warehouse turned usable space is perfect for an afternoon latte pick-me-up or some browsing through local wearable fashions and interior decor. We love the integrity kept, using of the existing structure to create an atmosphere that fits with Holešovice seamlessly, decorated with mismatched chairs and tables and even a DJ for good vibes! Just around the corner from Sir Toby’s, you will have to see for yourself. Just don’t spend all your time and money in one place! We know Holešovice has no shortage of vacant industrial buildings, thus locals are making most of the infrastructure and making the proverbial lemonade out of lemons. Tovarna, meaning “factory” recently opened and is just down the street from Sir Toby’s. The space, true to it’s namesake was once a factory, now serving as a multifunctional space supporting local designers, artists, filmmakers and just about anyone doing anything remarkable. A local bookshop, called Page 5 will contribute a poster shop, various workshops and pop-up markets are scheduled to be held not to mention a bar, barber chair, and silent cinema. It’s safe to say this place will be ever-evolving and there will always be something new to check out. There you have it. 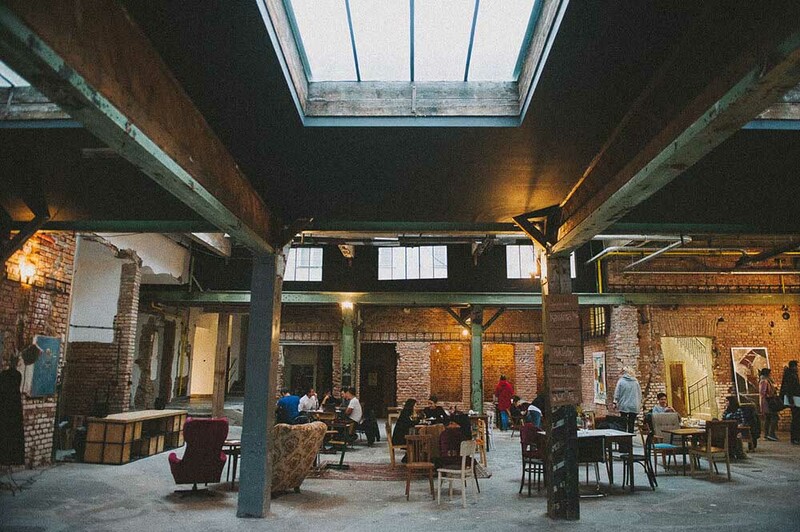 Who knew Sir Toby’s would find itself in such good company in this ever-evolving neighborhood fostering some of Prague’s best new spaces for self-expression. We like to think we are apart of contributing to the cultural landscape that is molding Holešovice into Prague’s next up-and-coming district. We are excited to support our neighbors and share it with our welcomed guests, fostering a community all our own. 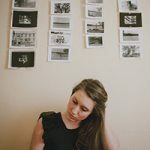 Looking for further tips on what to see and do in the neighborhood? Just ask our friendly hostel staff. They would love to help you get as much out of the city as they can!